A Glasgow based architect, his work includes commercial and domestic buildings. He was also no stranger to using sculpture and decorative carving on their facades. 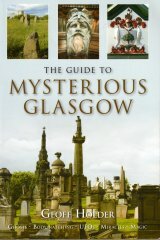 Two of his surviving buildings are on prominent corner sites in Glasgow: the Allan Shipping Offices, 21-9 Bothwell Street, which features a large male keystone head wearing a turban, and ships prows amongst its rich carver work (1888); and the domestic 1 Hillhead Street, which terminates an earlier terrace in University Gardens with a Baroque flourish. Of his demolished work, a good example is the Bonded Warehouse which stood at 38 Cadogan Street, and which featured an ornamental gateway and capitals richly carved with fruit. A photograph of the building is in John Hume�s book Industrial Archaeology of Glasgow.